Announced earlier this year as a brand new entry-level hydraulic disc brake from SRAM, the Guide T slots into the current line as the cheapest option to wear the popular Guide label. Whereas the Level brake series is targeted towards XC riding and racing, and the Code brakes are built for gravity use, the Guide series slots right in between as a powerful, all-purpose disc brake that’s designed to cover everything from trail riding through to enduro racing. Like the pricier Guide R, RS, RSC and Ultimate brakes, the Guide T makes use of a chunky four-piston calliper. 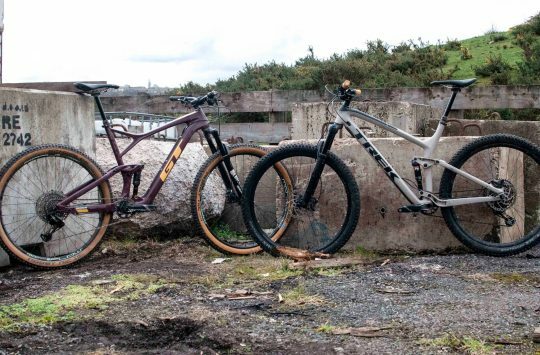 Here, there are few differences with its more expensive siblings. Indeed the Guide T gets the same forged two-piece alloy body, the 14/16mm diameter pistons and the stainless steel Heat Shields. It runs on DOT 5.1 fluid and can also be bled with the excellent Bleeding Edge tool. The Guide T is a new entry-level disc brake from SRAM. Up at the lever is where the money has been saved, with the Guide T featuring a low-frills master cylinder that skips any dials or clever linkages in favour of a more stripped-back design. 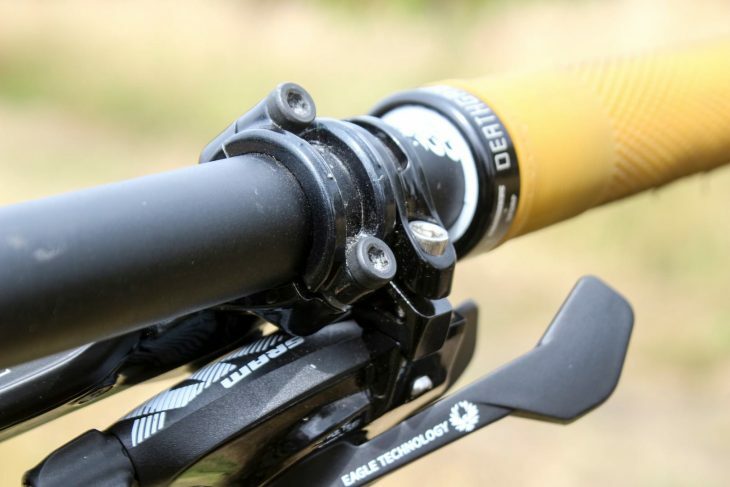 You’ll need an allen key to adjust the lever reach, and that’s the only adjustment you get. Do fewer features mean less performance though? 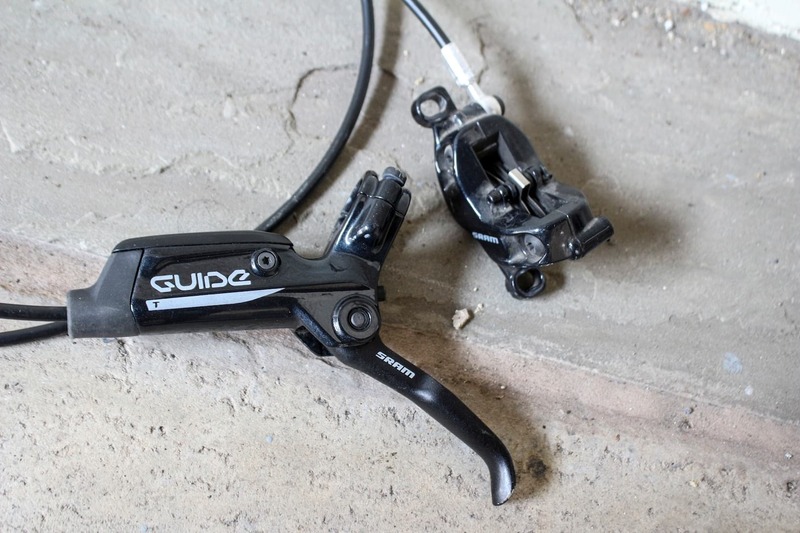 We’ve been testing a pair of Guide T brakes for the past 3 months to find out. 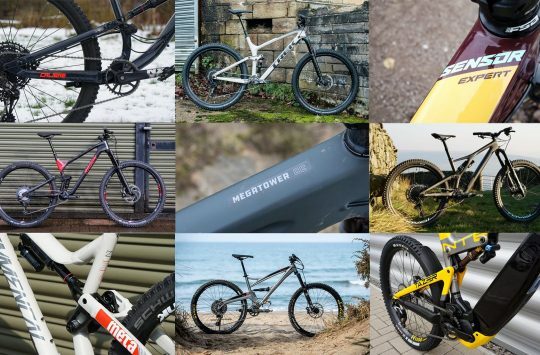 Stripped-back levers have zero bells, and no whistles. Having been paired up to a Cotic SolarisMAX test bike with external cable routing, bolting on the Guide T brakeset was thankfully a painless experience. I did trim the hoses down, which required fitting a fresh barb and olive onto the end of each line. Of note here is the clever threaded red anodized olive that SRAM is using with its latest disc brakes, which makes installation easier. I’ve used the Bleeding Edge tool countless times over the past two years. The procedure is straightforward, and performing a full system bleed is satisfyingly easy with the ‘push-click’ action of the calliper syringe. It’s also effective too. Following that first bleed, the brake lines have been free from any air bubbles. The Bleeding Edge tool makes the whole process satisfyingly easy. Requiring a 4mm hex key, the split clamp allows you to fit the levers without removing the grips or shifter/dropper lever, and the ambidextrous levers can be easily flip-flopped from left to right. Though I’m running a compatible SRAM NX Eagle trigger shifter, I didn’t end up making use of the MatchMaker clamp. But it’s a nice feature for those who want to tidy up their cockpit. The only annoyance I encountered with setup is adjusting lever reach. The process requires a 2.5mm hex key, which is fine, but it’s the awkward access angle that bugs me. 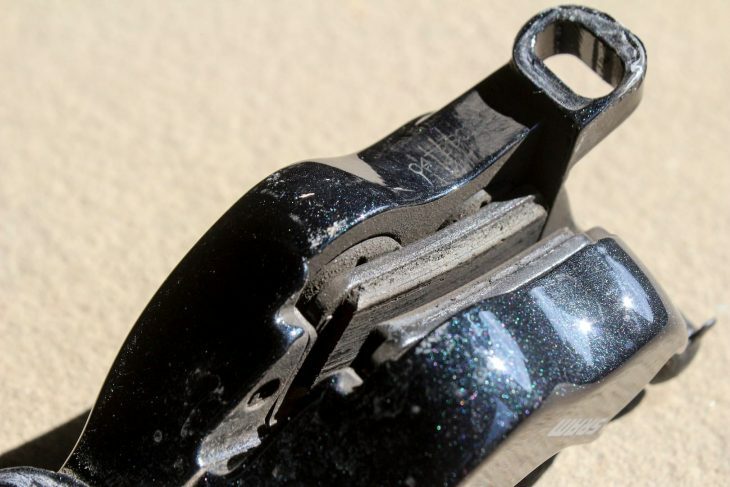 You’ll need a reasonably long ball-ended hex key, or a very short L-handle to adjust the lever position, so don’t expect to be able to do this on the trail with your multi-tool. A split clamp eases installation and adjustments. 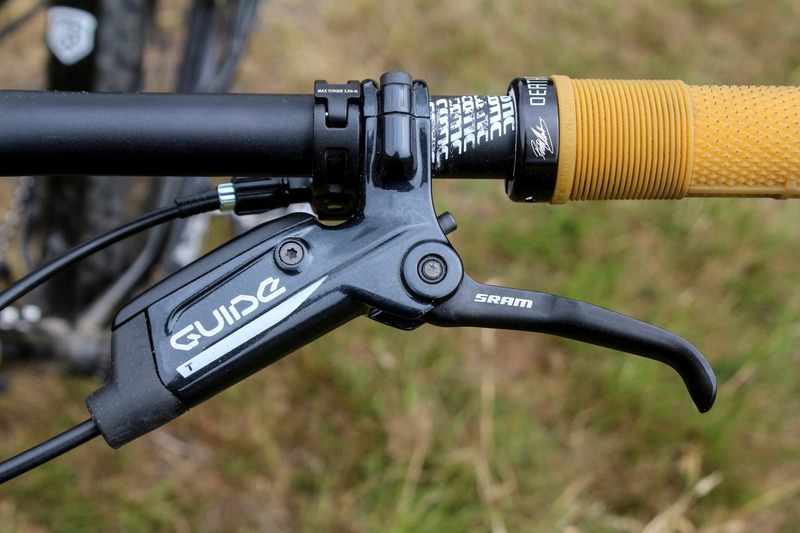 The Guide T’s lever will offer a familiar feel for anyone who’s used SRAM or Avid brakes in the past. The curvy lever blade has a great shape with a sweet hooked profile at the end, and can be setup equally well with 1-finger or 2-finger braking styles. Lever action is smooth, with a nicely defined bite point that’s easy to locate consistently. The bite point isn’t quite as solid as a Shimano brake, and it isn’t as aggressive either. Instead, the power comes on more steadily, with the early part of the stroke offering useful modulation for controlling speed. I like this, and particularly when riding on treacherous trails where loose surfaces need careful brake management. In those situations, the last thing you want to do is panic-brake and lock up both tyres. 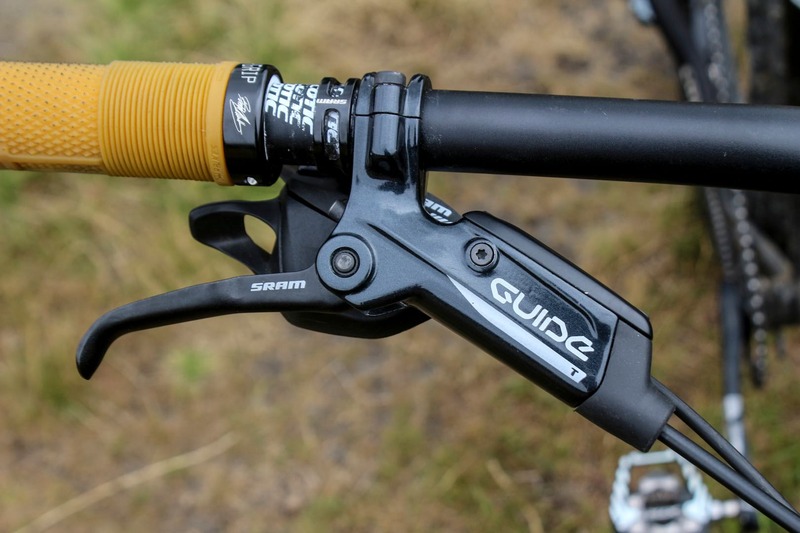 However, riders who like the more digital ‘on/off’ brake feel of an equivalent Shimano brake may be disappointed by the softer engagement of the Guide Ts. The S4 calliper is the same as what you’ll find on higher-end Guide brakes. For the test period, I paired our brakes up to 180mm, 6-bolt SRAM Centreline rotors front and rear. Compared to the Guide R – the previous entry-point into the Guide brake line – I can’t confess to noticing any real differences in performance. Certainly, the lever feel is much the same, and there’s good power to be found inside those four-piston callipers. You do have to work a bit to uncover that power though. Unlike the higher-end Guide brakes (including the RS, RSC and Ultimate), which feature the SwingLink for altering the leverage ratio, the Guide T has no such linkage between the lever blade and master cylinder. And so with a more linear braking curve and a less obvious ramp-up in power, more effort is required by the rider to really drop the anchors. Still, overall power is impressive for a brake at this price point. 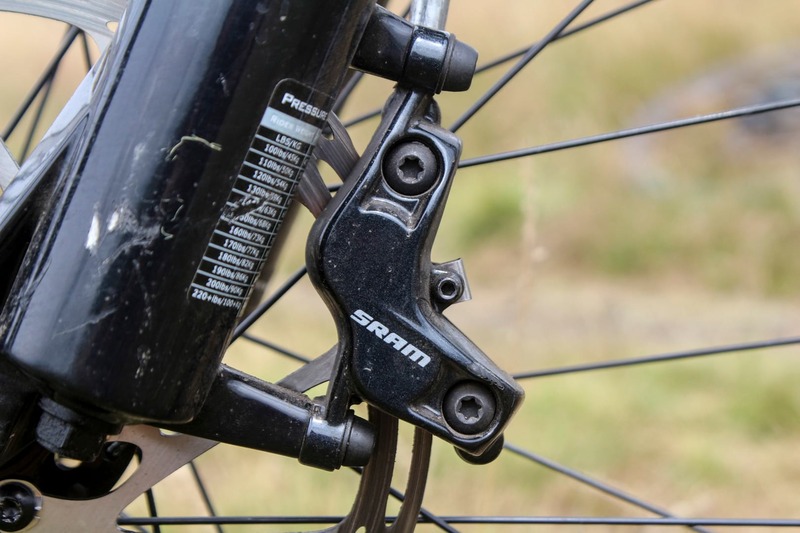 And having also used the SRAM Level T brakes extensively, I can confirm that the Guide T is an improvement. Not only does the Guide T have more power on tap than the Level T, it also offers better modulation too, with less grabbiness compared to its two-piston sibling. Four pistons offer more power, but more importantly, better modulation. Like other Guide brakes I’ve tested, the Guide Ts don’t seem to compensate that well for pad wear. As the braking material wears away over time, I’ve found that the ‘dead throw’ (how much the lever moves before the pads engage) increases proportionally. This seems to happen even when you’re halfway through the brake pads. Once you go beyond 50% wear though, the dead stroke can grow to the point where the blade is nearly on the grips before the power comes on. Admittedly this is more of an issue for riders like myself, who setup their lever reach close to the bars in the first place, but it’s still no less disconcerting. Just to clarify, this isn’t an issue I’ve experienced with higher-end Guide RSC and Ultimate brakes, but rather on the models beneath them. As the lever dead throw increased with the test brakes, I ran both through a full system bleed just to check there was no air in the system. There was no air in the system. A fresh set of pads later though, and the brakes returned to normal. I run the levers quite close to the bars in the first place. In comparison, both higher-end Guide models and Shimano brakes tend to maintain their bite point even as the pads reach their end of life. This is good because the lever feel stays consistent, but it’s also bad because unless you’re visually inspecting your pads (which you should do regularly!) then it is possible to run the pads down to the backing plate without realising. I’ve seen Shimano-equipped riders continue to brake with metal-on-metal because the lever feel hadn’t changed. If anything then, the change in dead stroke at the lever can simply be a good reminder to replace your pads. The stock Organic brake pads will wear quickly in wet weather. It’s worth upgrading to a sintered metallic brake pad. While I’m talking brake pads, the stock Organic pad compound does wear quickly in wet and gritty conditions. In such conditions, I’ve managed to trash a set of pads in a single ride with a different set of Guide brakes. 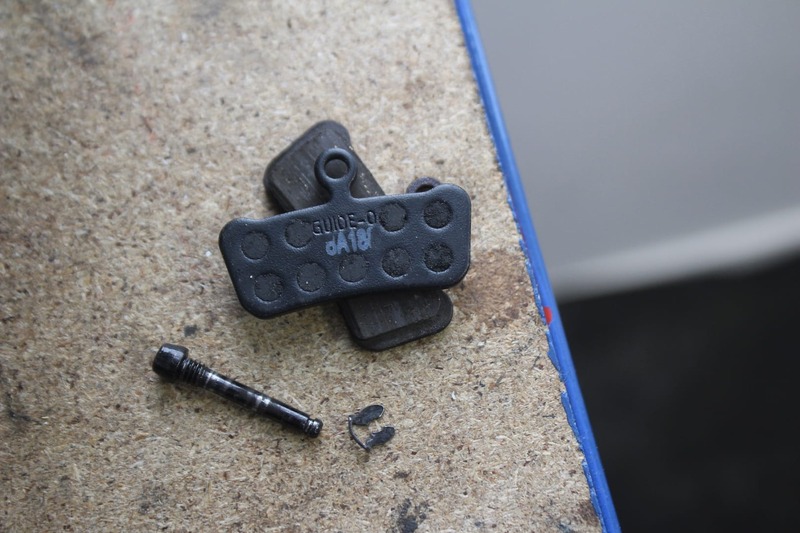 SRAM sells replacement Guide/XO Trail brake pads in a Sintered Metallic compound that will not only perform much better in wet conditions, they will also last longer too. For any current owners of Guide brakes, I’d recommend this upgrade. For the given price point, the Guide T’s offer decent power, usable modulation, and a good lever feel. 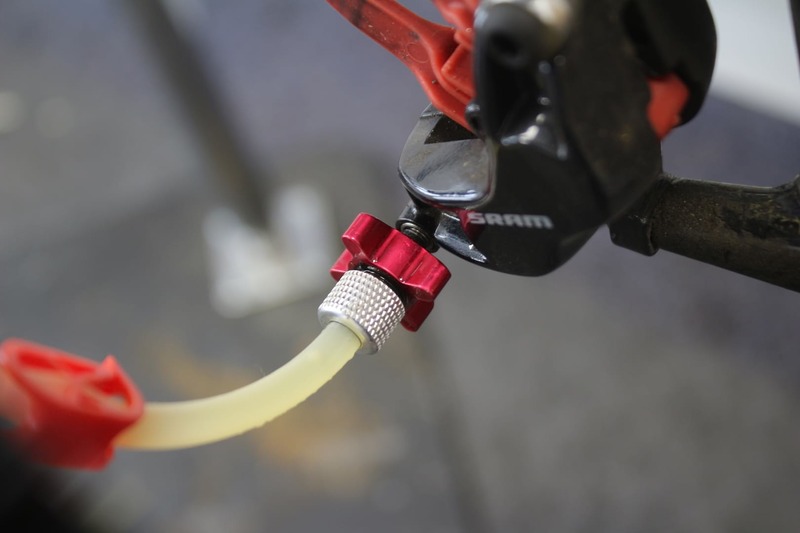 You’ll need to keep an eye on pad wear, which will affect the lever stroke, but changing to a metal pad compound will help mitigate this, and is no doubt a worthy upgrade for all-weather riders. 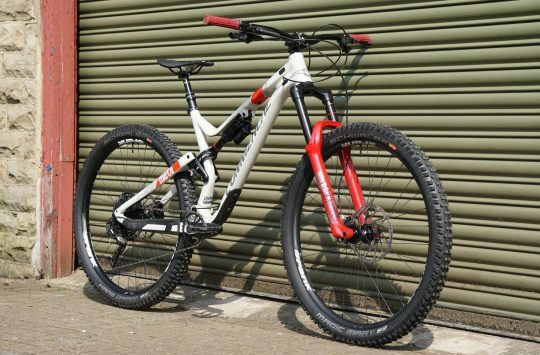 Otherwise, the Guide T’s are solid performers for trail riding, and a noticeable improvement over their 2-piston siblings. I’m also a levers-close-to-the-bar rider. Had that pad wear/bite point issue with the Guide RS, drove me mad until I worked out you just have to wind the levers out a bit to adjust bite point. They feel the same when you are covering them while riding. We have had to warranty-swap close to 30 Guide R,RS,RE and RSC levers this summer. Fun times. Work fine when weather is cool, and when it gets warmer – bang, main cylinder´s piston is stuck and you have a useless brake.